The number of steroid users has been increased significantly during the last years. While most of them can share great results in muscle growth and strength, there are still many people who struggle to add some pounds even being on the 4th or 5th cycle. Check bodybuilding communities and you will see the percentage of those disappointed in steroid effects are quite high. They usually list first of all the numerous side effects anabolics have on their body, missing the advantages of proper steroid usage. 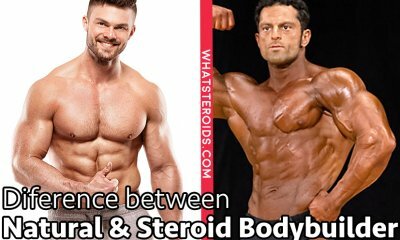 In order to make AAS usage a success and get the most from taking them you have to be very well educated about all regarding steroids and their use. 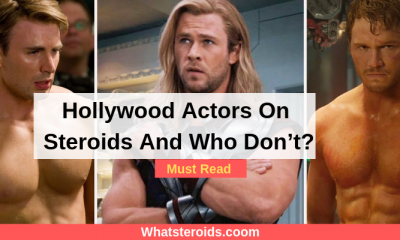 Being informed about what steroids are, their types, what cycling and stacks means, and how you have to mix them properly are just some of the subjects you need to have answer on. 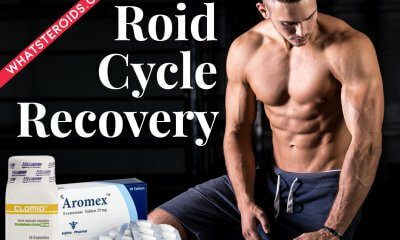 To stay safe and enjoy the great results make sure you read everything possible about anabolic steroid and request the advice of bodybuilders with experience in steroids usage. If you go straight to the cycling, without getting warned about most common side effects and how they can be prevented, than there are big chances that in the final you will calculate not gained pounds, but the number of side effects. Before going with steroids make sure you have enough financial resources, time and desire to put on for achieving your goal. 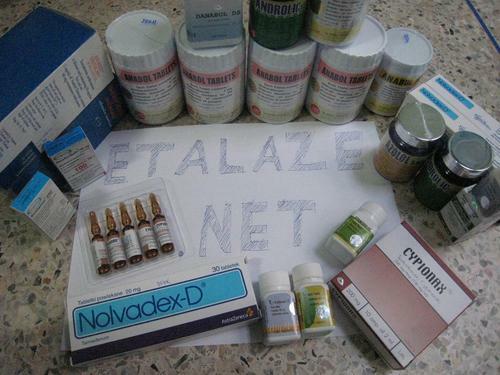 Quality steroids are not cheap, or they can seem so if be per ampule or tablet. But taking in consideration that you will have to administrated them for six, eight week minimum and also in a stacks the budget goes quite high. 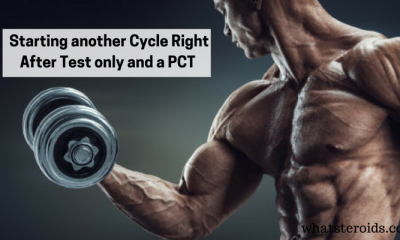 Also, most of bodybuilders doesn’t stop of their first steroid cycle. They usually begin another cycle after weeks of being off. So, this is another detail to take in consideration when doing planning your budget. Along with money, you need time and strong determination. Steroids just accelerate the muscle growth, but you will still need to work hard in the gym for this. So, training 2-3 times per week or even often, regarding on your goal, is a way you should schedule your time. Be persistent and highly motivated is what you need to get great results from steroids cycles. If you seem to do everything right, but the results you get are not what you want then look further for these most common reasons why steroids don’t work for you. Taking steroids in excess doses is the number one reason for having bad experience with steroids use. Taking steroids in higher doses doesn't means that you will get outstanding results. Our body’s properties to assimilate anabolics are limited. And even you go with high doses, all which is beyond the limits will be transformed into estrogens. The most feared estrogenic side effects in men is the increase of breast size, or also called gynecomastia. Kidney and liver also function in extreme conditions, which can get them damaged. If you observe that you skin get a yellowish color, than take as a sign that you liver is not happy with what you take. To avoid overdosing, carefully read steroid label and look of other people experience about stacking and cycle duration. The best would be to do some tests to see which diseases you are prone too. This will help you to exclude from use steroids that trigger related side effects. It was proved that steroids usage just worsen the affections your body might develop. The advantage of steroids is that in almost all cases is necessary just to stop to take them to let your body get the normal functionality. Steroids provide with great results if you follow a proper diet. Adapt your nutrition to your goal-bulking or cutting-and strictly follow it. Protein, carbohydrates and fats are components that have not to miss your diet. Their percentage slightly vary for bulking or cutting effect. So, to pack on muscle mass you will have to eat more carbs, and then comes protein and fats. For cutting purpose eat more proteins, than carbs and fats. Is not only important what you eat, but also when, in what quantities and how you mix different types play a big role too. Only following a balanced diet taking in consideration all these details you can get the most from every steroid cycle. The specific of workout when are one steroids is to exercises with high intensity. You have always try to induce the catabolic stage, during which steroids work the best. Also, increase the weights you work with as much as possible. Is time to know that big weights build big muscles. Exercise till the failure, until deplete all planned number of sets.Take up to 2 minutes pause between sets to be able to go further with other exercises. If you look to get shredded, than you have to lower the weights and increase the number of sets, including cardio training to your workout routine. When panning a steroid cycle is very important to choose the best stack, best doses and proper duration. Coming off steroid cycle is as important as cycle itself, as the way you manage this stage depends how big your losses would be. This is called post cycle therapy and people who ignore it are very unhappy with the results. After ending one cycle your body needs time to recover from stress to which it was undergone, and establish all its hormonal functions. Whatever you wil read or hear, losing around 5%-10% of muscle mass gained during the cycle is normal. There are many people who want to fill as in the peak of steroid cycle, when body achieved greatest results, after coming off. They feel very disappointed about the reduction in size as strength, especially when losses go higher than ten percentage. Bear in mind that after first two cycles you will be able to preserve almost all gains. But do not expect the same results on you are on your 6th or 8th cycle. So, losing some weight after ending a steroid cycle is not a reason to consider that steroids don’t work for you. There can be detected other reasons which do not let you enjoy a successful steroid usage experience. I'm pretty sure that every steroid user has something to add to this list, and you are welcome to say your opinion in the comment box below.